Janic Geelen reports on the Alexander Helicopters reunion. Trainer pair: Trojan and Mb.339cb. One of aviation's minor mysteries unravelled. 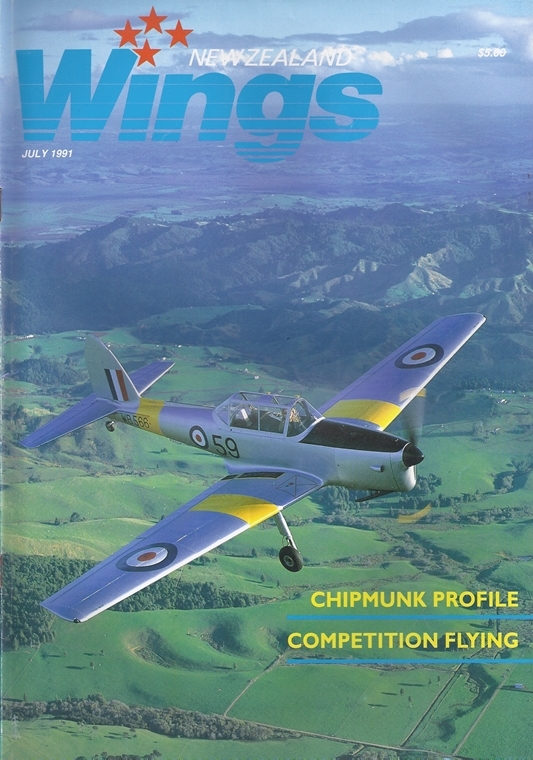 Warwick Pryce, an aviation historian living in Wellington, wrote following the publication in the July 1990 WINGS of the potted history of TEAL's first flagship. "Unfortunately some of the excellent White's photos were far too dark, but I want to put the record straight on the historic details of both ZK-AMA Aotearoa and its sister, ZK-AMC Awarua, prior to their delivery to New Zealand," he commented. The following account summarises his detective work to establish the changing identities of the two pioneering flying boats. The publicity machine was to blame for a swapping around of identities and left an enduring confusion amid aviation historians. The article also provides an ideal vehicle to provide background photographs of an era that launched an international airline; photographs which, Warwick Pryce points out, are only a selection - not the entire proof in itself.